St. Petersburg couple Sarah and Cameron hosted a hometown wedding to showcase the beauty of their Floridian city. “We chose to get married locally because we already live in paradise. 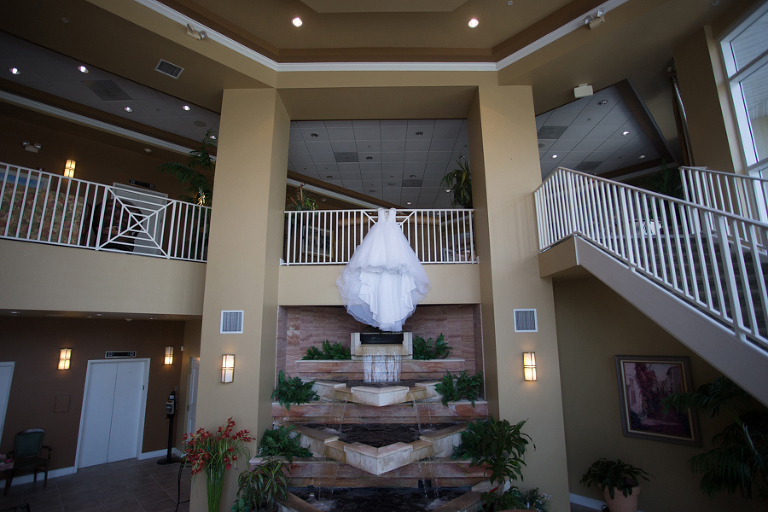 All of our out-of-town family were excited to spend spring break in Florida!” the bride beamed. 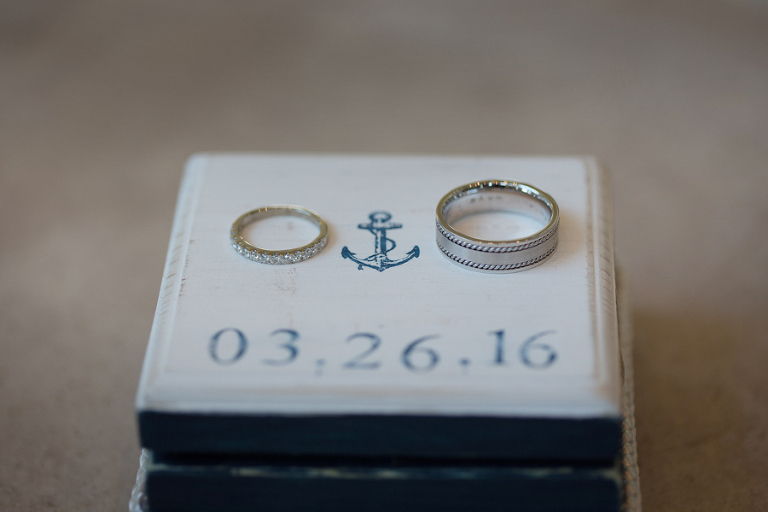 The bride and groom chose a navy and coral preppy, nautical theme for their waterfront St. Petersburg wedding. 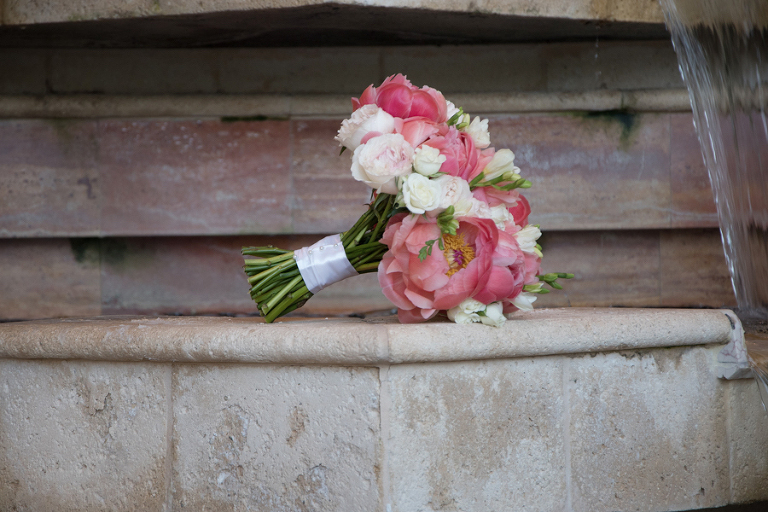 Since the bride was knowledgeable about flowers, she relied on the expertise of St. Petersburg wedding florist Iza’s Flowers. One of the most important elements for Sarah and Cameron was for their wedding day to be memorable. “It was very important that my husband and I enjoyed our day the most, not just the guests,” the bride shared. I didn’t know a lot about flowers. After meeting with tons of florists, we went back to Iza’s Flowers, who was recommended by the venue. Iza was the most personable and reasonable. She even re-purposed all of my outside decor and brought them indoors. My flowers were probably my favorite part of the wedding! We had a preppy, nautical theme because we go boating as often as we can. We love being on the water and Isla del Sol Yacht & Country Club was the perfect place for us. Our colors were navy and pink/coral with silver accents. Navy goes with the theme, and the pink/coral is bright, like me! Someone who could keep the party going. Cory Barron of Grant Hemond & Associates was great! After reading reviews and asking my other booked vendors who they recommended, we requested Cory, and I couldn’t be more happy we did. He kept the party going until the end!